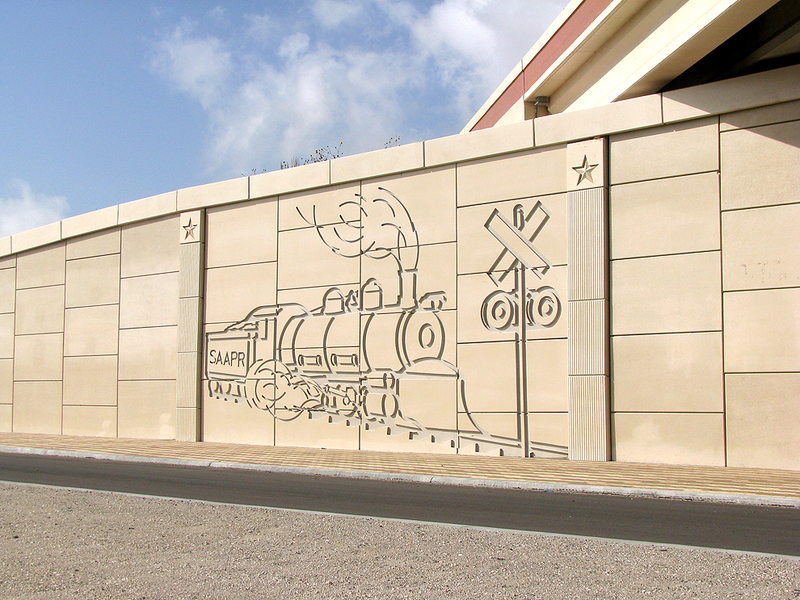 TerraPlus® uses square or rectangular shaped concrete panels, which are typically larger than TerraClass® panels. 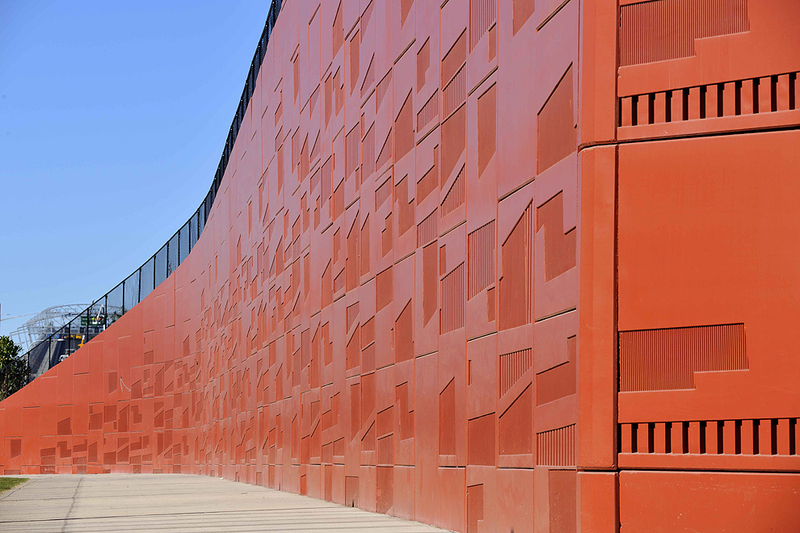 This panel was specifically developed to satisfy an increasing demand for non-proprietary shaped panels and to more easily accommodate constantly changing and complex architectural finishes that often create a mural across adjacent panels in the wall. Although TerraPlus® is larger than TerraClass®, the rate of construction will be similar because the speed of earthworks controls the overall rate of construction. 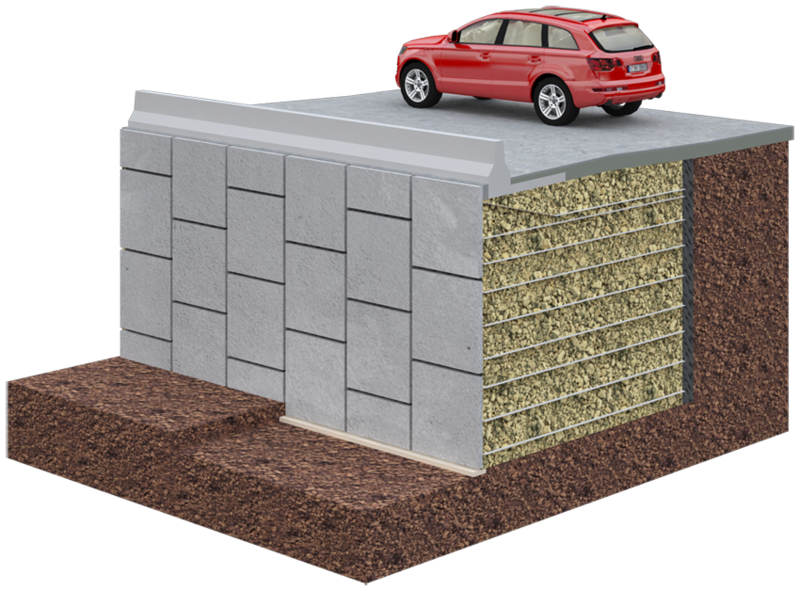 As a modular panel system it is compatible with a Reinforced Earth® design and can accommodate some settlement in the foundation. 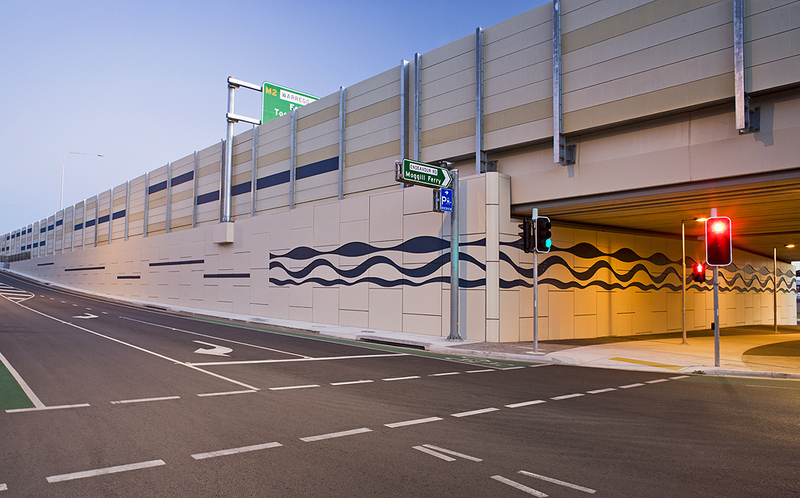 However it is important to note that significant settlements will immediately translate and be visible in the clean horizontal and vertical joints of square or rectangular panels and may cause spalling of concrete.